The protests, however, soon turned violent when students allegedly threw stones at cops and police had to resort to use of force. Students had blocked the national highway. A day after a student of Industrial Training Institute, Karnal, was killed in a bus accident, students continued protests against his death at the highway near the institute for the second day. Tear gas shells were fired by the police to clear the blocked road as the ITI students demanded better transportation facilities. In a video, shared by news agency ANI, cops can be seen hitting the students with batons. The protesters, including students and ITI staff, alleged the state-run buses do not stop buses at designated stops forcing them to chase buses. The ITI student, who was killed on Thursday, was allegedly run over by a state-run bus. Soon after his death, students blocked roads on Thursday near the institute but they were dispersed. The protesters claimed the student was hit by the bus but the driver did not immediately bring the vehicle to a halt and the student was crushed to death. A committee has been formed to look into the death of the student, Karnal police chief Surinder Singh Bhoria was quoted as saying by news agency ANI. "A student died in an accident in Karnal. Students gathered today to protest over his death. But there were some mischievous elements who provoked students to jam roads and spread lawlessness. 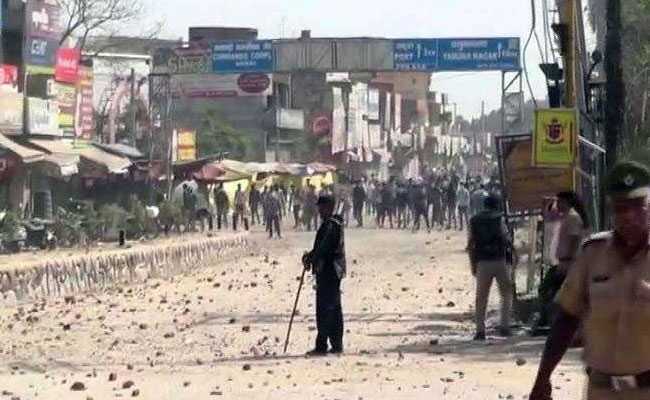 Several police personnel injured in the incident," Karnal police chief said. Some students and employees of the ITI have been taken into police custody.